I'm going to miss Beau Allen. Now that the Philadelphia Eagles' offseason is (finally) underway, let's take a look at each position and figure out which players will be back in 2018, and which ones will be playing elsewhere. Here we'll look at defensive tackle. Cox is among the best interior defensive linemen in the league, and he was extremely disruptive in the Eagles' road to the Super Bowl. He's also locked in for the next few years on a very lucrative deal. Obviously, Cox isn't going anywhere. Fletcher Cox: Stay or Go? Jernigan played really well over the first half of the season, and then kind of faded down the stretch. Still, he just signed a four year, $48 million contract extension, so he's not going anywhere. Timmy Jernigan: Stay or Go? Allen is a free agent this offseason, and it helps his value on the open market that he has played reasonably well in multiple schemes. I believe that Allen can start in the NFL, and while I don't think he'll break the bank by any means, I do think he'll receive an offer that the cap-starved Eagles will not be wise to match. 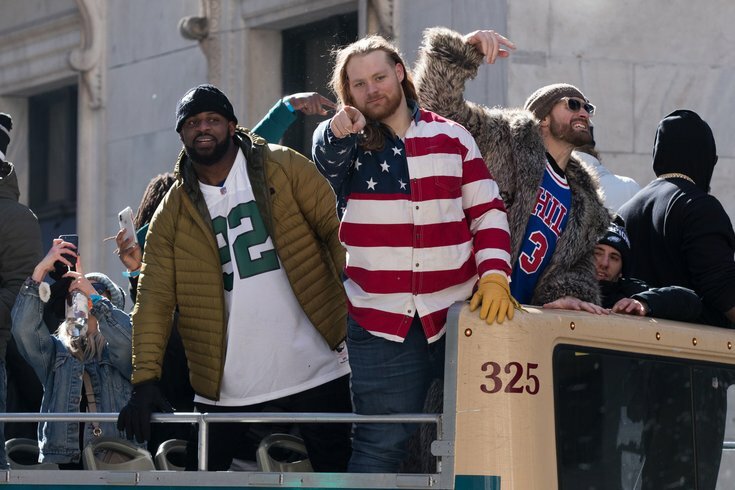 Beau Allen: Stay or Go? In two of their three playoff games, the Eagles opted to go with just three defensive tackles, leaving Vaeao and Elijah Qualls on the inactive list. I think that was somewhat telling of what they think of Vaeao. #JimmyVerdict: With Allen potentially bolting in free agency, Vaeao will have a chance to make the team again. Those chances will decrease if the Eagles address the DT position in the draft, which seems likely. Destiny Vaeao: Stay or Go? Qualls was mostly inactive this season, but he did appear in six games as a rookie. The team likely views Qualls as having more upside than Vaeao, which should give him a leg up in training camp competition next summer. #JimmyVerdict: He'll still have to earn a roster spot, but I'd lean toward Qualls staying. Elijah Qualls: Stay or Go?